High school students are coming to RIT to learn about computer science and compete in a high school programming contest March 12. Fifty high school students and their teachers are coming to Rochester Institute of Technology during the school day to learn about computer science and compete in a programming competition. Organizers hope to get more young people interested in computing as a college major and career. The RIT High School Programming Contest will be held March 12 at RIT’s B. Thomas Golisano College of Computing and Information Sciences. Hosted by the college’s Center for Computing Outreach, Research and Education (C-CORE), the competition will pit teams of three in a test of mental endurance. Participants are given problems that they can solve by writing a computer program. For example, students may be asked to write a program that converts the elapsed time recorded on a stopwatch from simply seconds to units of hours, minutes and seconds. They’ll be asked to solve as many programming problems as they can in the least amount of time. Teams will be participating from seven Rochester-area schools, including Northstar Christian Academy, Webster Schroeder, Webster Thomas, Fairport, McQuaid Jesuit, Greece Arcadia, Brighton, plus Nichols School from Buffalo. Sage Miller, who teaches AP Computer Science Principles, Introduction to Programming in Java and AP Computer Science A at Webster Schroeder High School, said that she provides her students with the opportunity to participate in many computing competitions. 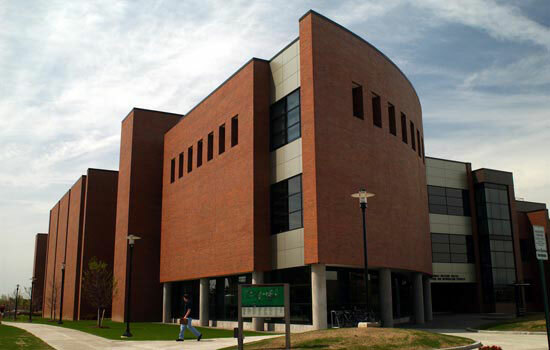 In 2017, RIT’s B. Thomas Golisano College of Computing and Information Sciences established C-CORE to change the way that computer science is introduced and spark an interest in computing for students from all disciplines, backgrounds and ages. Inspired by President Obama’s 2016 Computer Science for All initiative, the center shares in the goal of empowering students to learn computer science and equipping them with the computational thinking skills needed to be creators — not just consumers — in the digital economy. For more information about C-CORE and the RIT High School Programming Contest, contact Tymann at ptt@css.rit.edu.